A 4,000-calorie per day diet is appropriate for young, highly active individuals or underweight people seeking to gain weight for health. Four thousand calories is 1,000 to 2,000 calories higher than the average amounts generally recommended by the Institute of Medicine for adults. While calorie-dense junk food may be a tempting way to fill out the 4,000 calories, even if you are active or underweight, you are susceptible to developing health problems associated with eating too much saturated fat and sugar if you do that. Divide the 4,000 calories over six separate sittings, each containing between 600 and 850 calories. 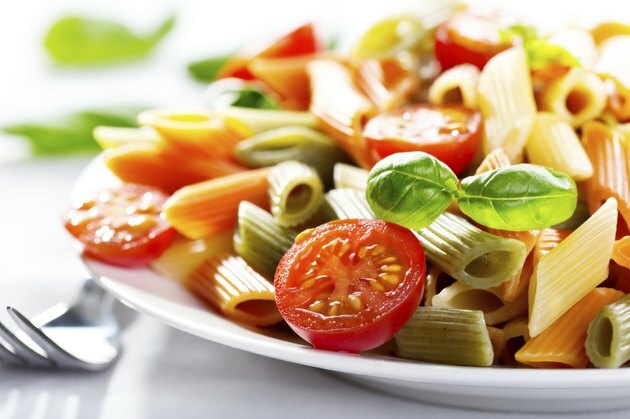 Along with fruits and vegetables, make each meal contain a serving of lean protein, carbohydrates and unsaturated fats. Eat every three to four hours and include a snack like a peanut butter or meat-and-cheese sandwich before bedtime. Choose calorie-dense foods at meals and snacks. 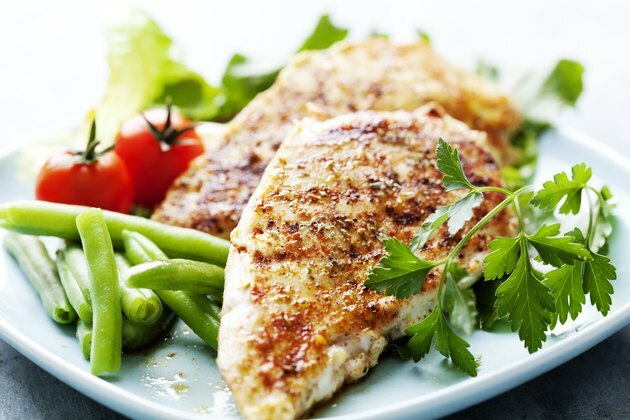 Take extra servings of proteins like chicken breasts and fish, as well starches like brown rice, whole-wheat pasta, whole-grain bread, beans and cereals. Opt for dried fruit, granola, nuts and dense whole-grain breads as snacks. For a breakfast that comes in at about 820 calories, have a cup of dry oatmeal cooked with low-fat milk and topped with a banana and peanut butter. For an 850-calorie lunch or dinner, have a large chicken breast cooked in olive oil and served over a bed of brown rice and broccoli. 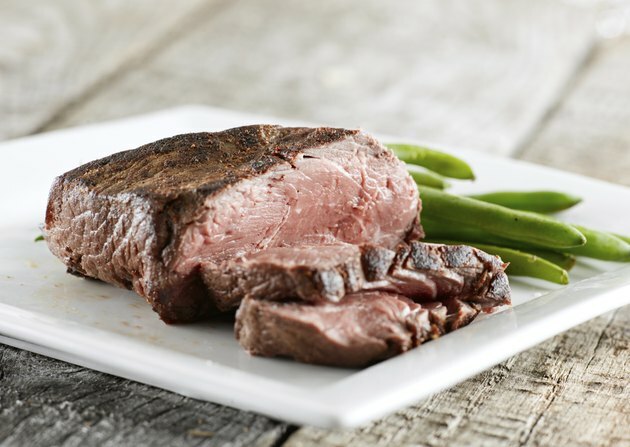 Limit your intake of saturated by choosing lean meats like chicken over beef and choosing low-fat dairy products over full-fat ones. Limit unhealthy trans fats by avoiding commercially processed foods. 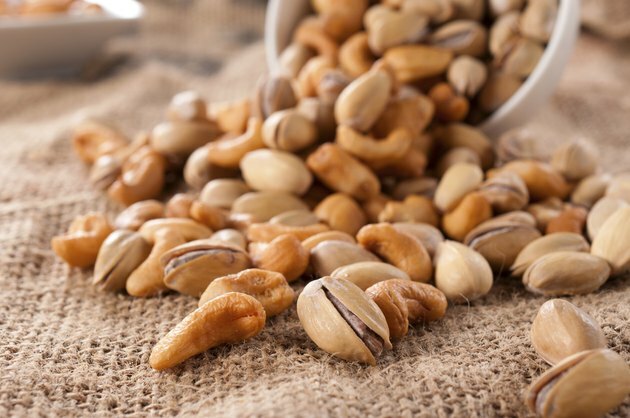 Increase your calorie intake by eating unsaturated fats, such as those found in nuts, seeds and plant oils. 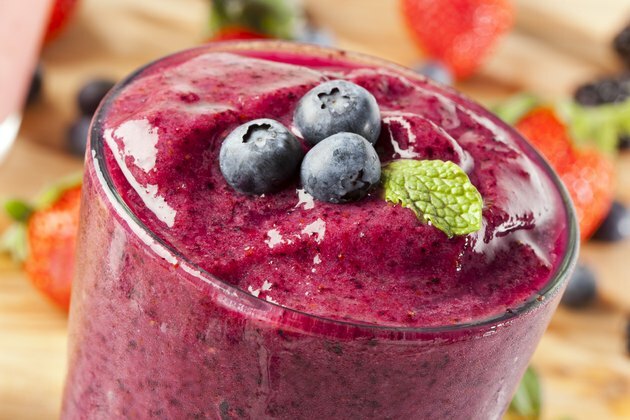 Blend a high-calorie smoothie for one of your meal or snack options. Whip together a frozen banana with whey protein powder, almond butter and a cup of soy milk for about 600 calories. Do not skip meals or you may have trouble achieving your calorie goal. Carry snacks like walnuts, dried fruit and natural energy bars in your bag so you always have a snack available. Drink calories at meals. Choose healthy beverages like low-fat milk or 100 percent juice to add more calories at breakfast and snacks. An 8-ounce serving of these contains between 80 and 150 calories. Learn to identify higher-calorie items like chunky chilis and chowders over broth-based soups. Choose dense, whole-grain breads over soft, white types, which aren't as nutrient-rich.